For most of my life I’ve been led to believe by statistics that women represented some 50% of the human population. Scientific people have suggested that the ratio of male to female births is around 106 boys to 100 girls, but scientific people also argue about this ratio. External factors like gender-control and gendercide further tip the balance against women, but then warfare and pervasive cultural violence more tip it back against men, leaving it at roughly 50/50. But all of this is mere scientific speculation. For real insight in to the state of the world today we need to turn to Hollywood. I love a good superhero movie. It’s just a shame I’ve never seen one. 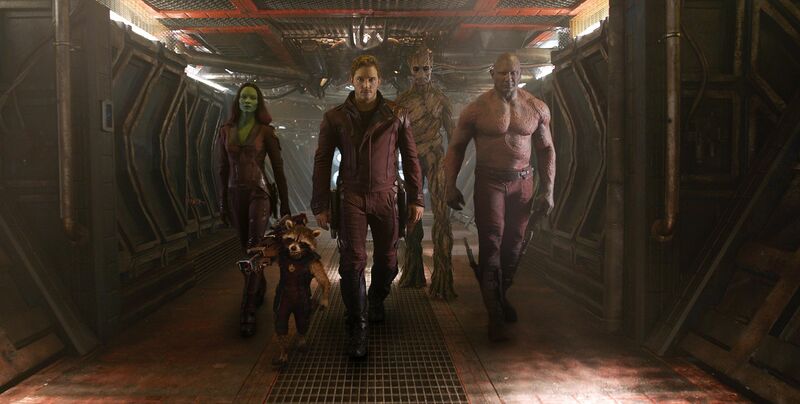 We’re all holding out hope for Guardians of the Galaxy. It seems no matter how often Hollywood suckers us with a compelling trailer that capitalises on the emotional clout of a catchy pop song, we’re always ready to fall for that old trick again. Every new superhero movie is the one we’ve been waiting for, right up until the disappoint of actually watching the full 120 odd minutes of cliches, in-jokes and geekwank fantasy. But the thing we can rely on every superhero movie for is a balanced and accurate portrayal of gender. 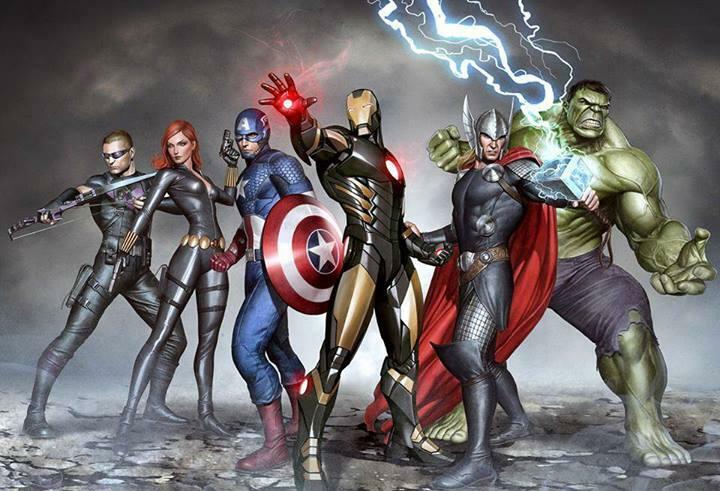 Here, have some Avengers. …1,2,3,4,5 Guardians but only 1 is a woman. I’ve checked and even the rocket racoon ripoff is male! 20%. Here’s the Justice League, which despite representing a variety of non-terran powers and wielding the power galactic, are, I am told, of America. And yes, 1 woman vs 5 men makes 17% again. I have no idea if this is a representative X-Men line-up. 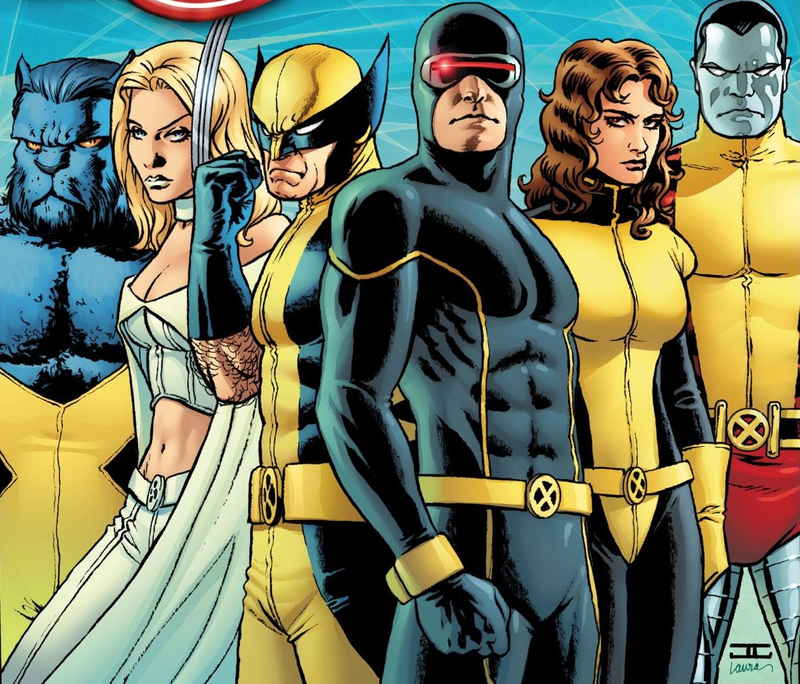 But there do seem to about 2 women in an X-Men team. Mostly so one of them can die and provide Wolverine with some much needed character motivation. 33.3% recurring, I do believe! Also I like that picture because of how shifty they all look. Whatever the goal of this mission is , they find it shameful. Great Lakes Avengers…ASSEMBLE! It took quite some convincing by @PrinceJvstin to persuade me he hadn’t made these guys up. But…do my eyes deceive me…is there a non-anorexic female body type there? Well, yes, although we’ve swung to the far end of the body dysmorphia scale. And for the second time a 33% female line-up! Here, have a school teacher being torn apart by her zombie students. “Whatever the goal of this mission is, they find it shameful.” This made me laugh out loud, well done. But have you really never liked any movie you’ve seen with a superhero in it? Iron Man? Batman Begins? The 1980 Flash Gordon? Sure I�ve enjoyed some superhero movies. One the one hand it�s a throw away one liner, on the other, I wonder what we�re doing with our modern gods. It’s an unfortunate truth that much of this problem has its roots in the comic book industry itself. Women are underrepresented, especially heroic women. It�s fairly constant across the whole of �geek culture�. Male geeks think they can�t be sexist because jocks beat them up at school. So I�m told. I’m not sure what the cause of it is, but yes, there is quite a bit of sexism embedded in comics culture and that comes around through conversations like the “fake geek girl” thing–where girls have to prove their knowledge upon saying they like something or risk being called a faker. It’s silly, really, as we’ve got some geek folks like Neil Gaiman and George R.R. Martin who write strong, nuanced female characters, and then there’s the comic industry, which is still catching on, in many ways, that it’s not just a boy thing. The “rocket raccoon ripoff” actually is Rocket Raccoon. Groot is a tree and therefore, I presume 50% female. That’s closer to 30%, right? The late 80s X-Men was closer to 50% but that was one of the few times. 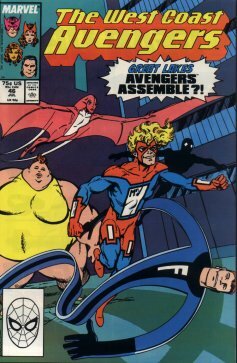 The Great Lakes Avengers that pinkish dinosaur person was also female, making them 40% until Hawkeye and Mockingbird join making it 4 males : 3 females making it 42 %. There have been times in the past when the Avengers have been 50% or more female too. It happened more often in the 80s though. This was a very lazy post on your part. Did it never occur to you that were super hero a real profession there would likely be a lot fewer female super heroes due to the simple fact that women are much more hesitant to let themselves get punched in the face? Looking at the population of trash collectors we would likely see that not too many of them are female. But, going by your logic, that would be a realistic representation of their percent of the population because diversity. Hey Rico. Did it ever occur to you that if superhero were a real profession, the women superheroes would have superpowers? Like the men superheroes? Yes it did Damien. That doesn’t mean they would feel inclined to use them, in fact your entire argument rests on the assumption that if someone has capability X they will use it. Let’s assume we have a fairly egalitarian society like oh say Finland which I do believe was one of the first countries to grant women the right to vote and is constantly voted as one of the best countries in the world for gender equality. With that in mind we can assume that we will see near equal representation in several fields right? Well that isn’t the case. In the hard science fields of Advanced mathematics, 45% of women sit for matriculation, in chemistry 43% sit, and in physics a whopping 23%….of course since nearly 60% of those who sit for matriculation are female this pushes all these numbers down. Or how about the Finnish Prison Gap? Only 7% of the Finnish prison population is female. I don’t know about you but this horrific inequality keeps me up at night. So Damien, what then is your basis for saying that women are just as inclined as men to letting themselves get shot or punched in the face? You really like superheroes, don’t you Rico? Not really Damien. I find most of them are badly written and the lack of super hero or super villain death leaves the genre feeling hollow and artificial. I do believe you may have overlooked a question I raised though, entirely on accident I am sure. You don’t like women very much though? I do indeed Damien. My mother is a woman, my sister is a woman, why even my girlfriend is a woman. I owe a lot to the women in my life which is why I try and treat them well. Remember, everyday is mother’s day. Well, Rico. You’re being just a little bit..creepy. So. Bye bye.